NASA’s Wide Field Infrared Survey Telescope (WFIRST) telescope has all the makings of a science fiction blockbuster: a mysterious government organization donates a technological asset to NASA to enable the study of a mysterious force causing the Universe to expand, and to search for alien life. 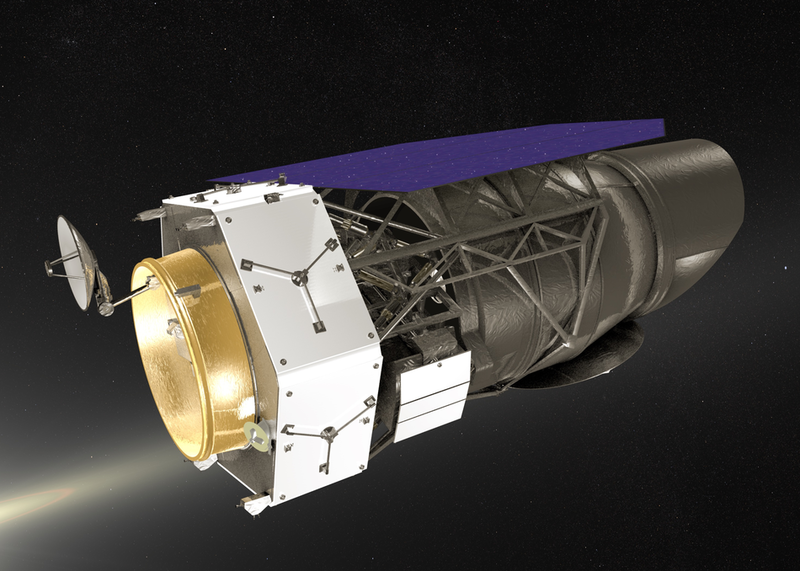 A telescope donated by the National Reconnaissance Office and advances in detectors will enable an observatory 100 times more powerful than the Hubble telescope. WFIRST will explore the nature of the mysterious dark energy causing the Universe to expand faster and faster (and possibly eventually rip apart), uncover the prevalence of planetary systems, and take direct images of nearby exoplanets.